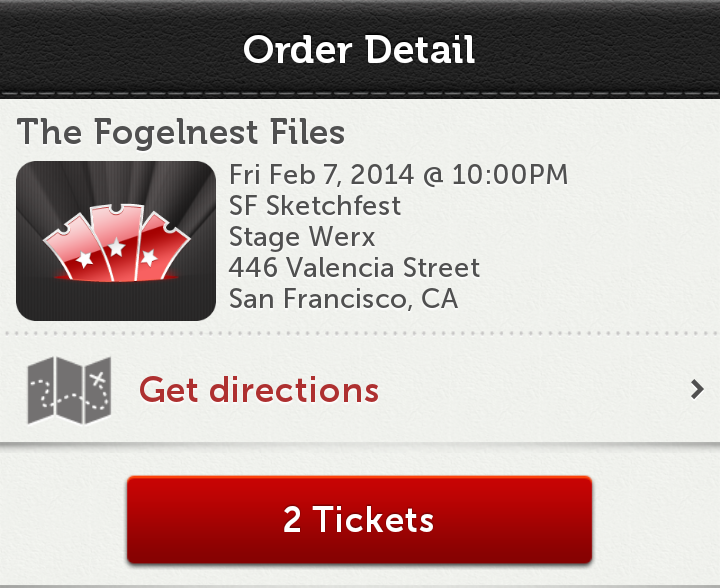 Entering the final weekend of Sketchfest, my wife and I attended The Fogelnest Files at Stage Werx in the Mission. I became acquainted with the work of Jake Fogelnest when he regularly popped up on VH1’s Best Week Ever. Then my wife and I DJed with him on Turntable.fm in the early days of their service, which was a very cool experience. We have since listened to him a lot on SiriusXM on multiple channels as a radio host. The late evening performance reintroduced me to where I had originally become acquainted with the work of a much younger Jake Fogelnest, twenty years earlier and long forgotten by my sometimes feeble brain. Jake Fogelnest started out his career with a public access television show on the Manhattan Neighborhood Network in 1994. Executives at MTV stumbled upon it and signed Jake to do the same show for them. Squirt TV was hosted by a then teenaged Fogelnest, and I watched the hell out of it when I was also a teenager. His guest for the Friday night podcast recording in front of a live audience was Chris Gethard, a guy who currently hosts a public access show with the very original title The Chris Gethard Show. Gethard recently filmed a pilot that may take his show to Comedy Central taking the next step that a teenage Fogelnest took before him. The guy from Stage Werx may have had a voice for NPR, but his delivery of the house rules of “No fun, don’t heckle, don’t take pictures or audio or video, maybe you can meet the guests outside on the street [where it’s pouring rain, and so I can go home] afterward, don’t be jerks” made him into a bit of a villain in my eyes. Fogelnest said we could be jerks. He then started the show by telling us how he ruined the Grammy night celebration of Imagine Dragons, which was pretty funny. When he welcomed Gethard to the stage and talked about his teenage self, I realized the Jake Fogelnest of the 2010s was the same Jake of the mid-90s, and my mind was blown. They had a good discussion about their career trajectory and how it all connects to Public Access TV. Jake explored the history of Manhattan Neighborhood Network a bit, and how the show hosts would feud with each other and callers, and a bit more into the concepts and characters anyone that filled out the paperwork and committed to the show could have. It was a good discussion only a nerd could love, but the funniest moments were the Imagine Dragons intro, and any time Fogelnest would crack up with his huge laugh. Sadly we didn’t stick around to try to meet Jake. It was rainy and my dinner hadn’t agreed with me. The Stage Werx guy was too odd to try to wait inside. Hopefully we will have another chance someday, as we literally grew up with the guy and his work. February 8, 2014 in Event, Nerddom, TV.